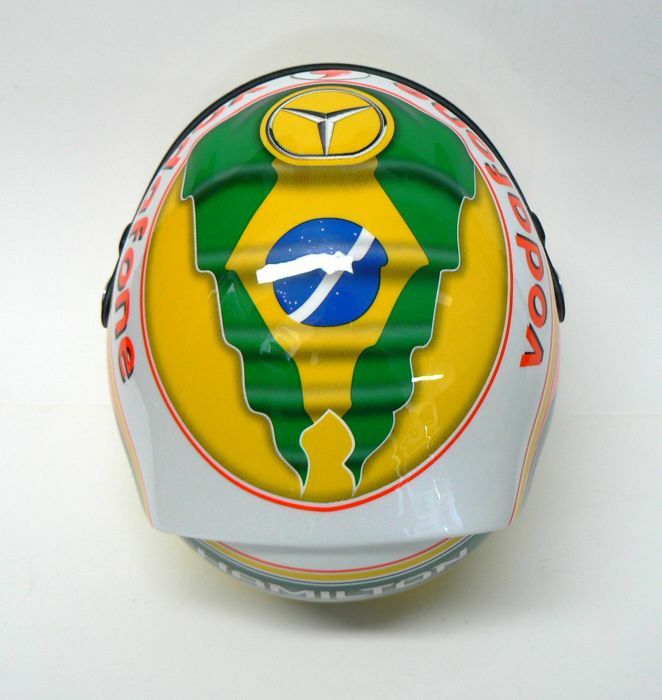 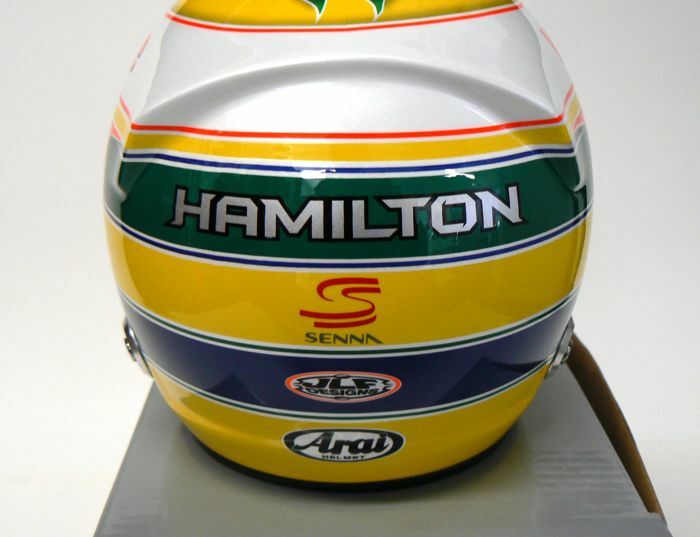 Lewis Hamilton 1/2 half scale helmet, Ayrton Senna, RARE Brazillian Formula 1 Grand Prix tribute, limited edition of 500. 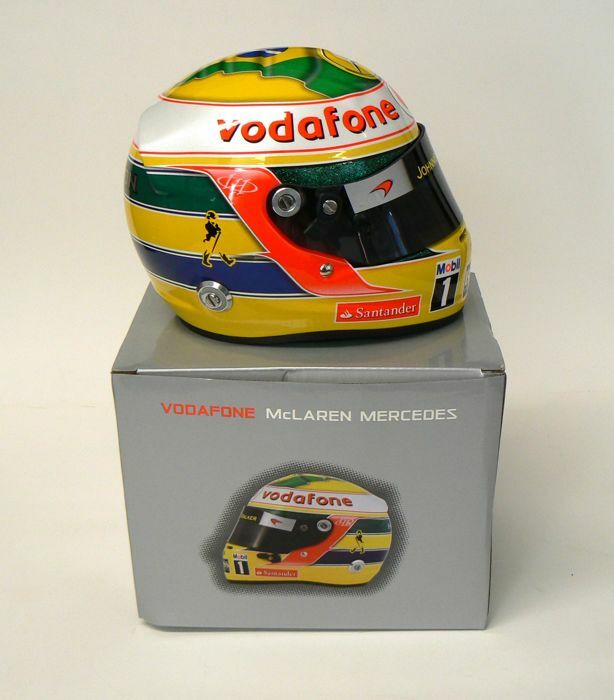 Officially licenced McLaren 1/2 scale Lewis Hamilton, 2011 Brazilian Grand Prix mini helmet, very rare only 500 produced in a limited edition, VGC box and near mint helmet, now very hard to find. 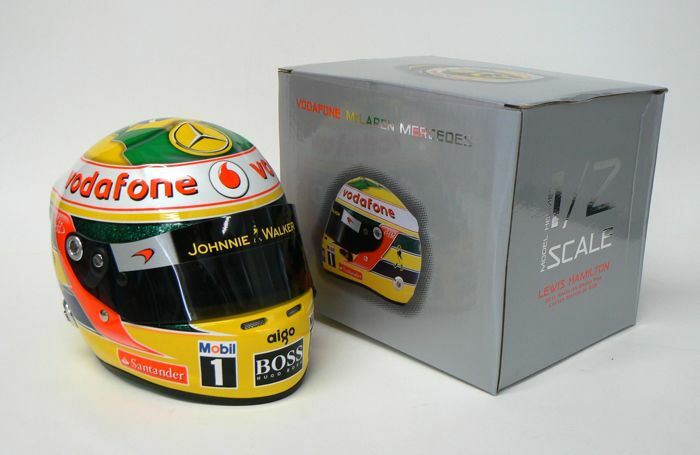 Please inspect the photographs, as these form part of the description, every item is sold as seen. 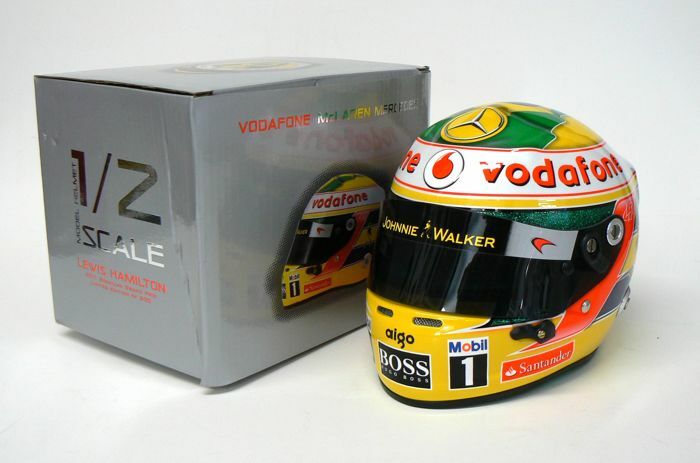 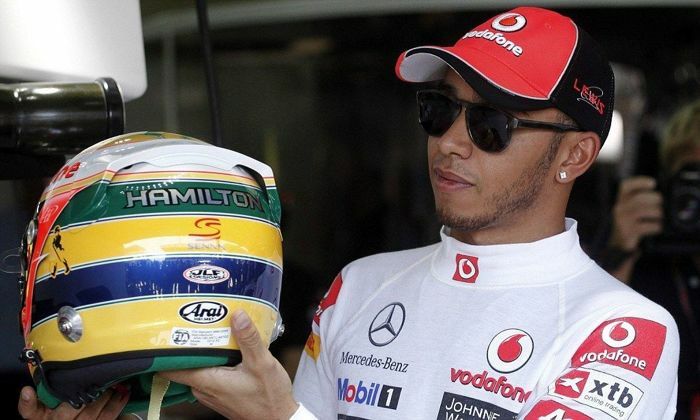 Last photo shows Lewis with the actual full-size helmet he raced, on which this 1/2 half-scale is based. 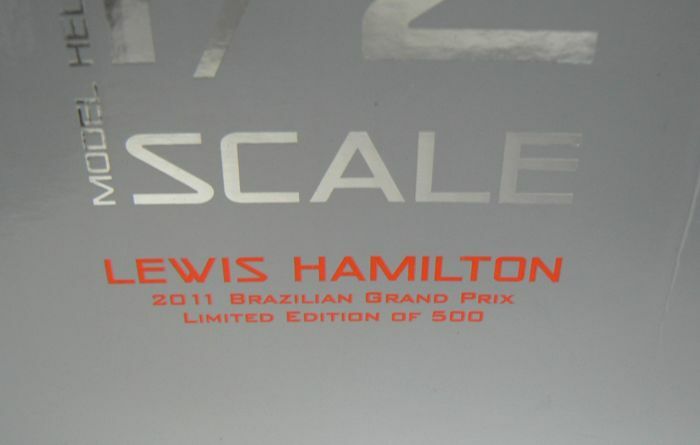 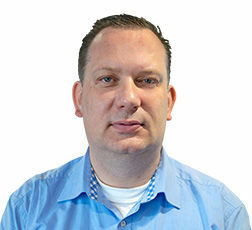 Please inspect the photographs, as these form part of the description. 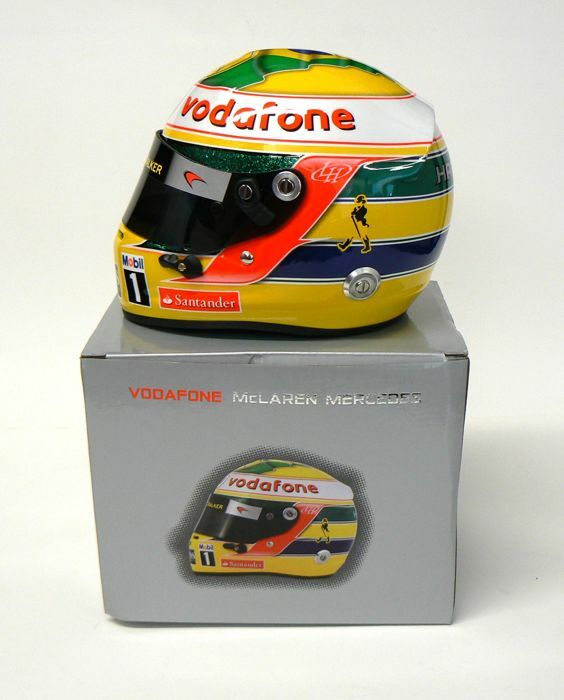 This is an official licensed, team issue helmet made by Bell Sports in near mint condition.